Crew members of an NGO ship which rescued 64 migrants off Libya have been refused permission to disembark in Malta. The migrants on board the German-registered MV Alan Kurdi were transferred to Malta by patrol boats from the edge of territorial waters on Saturday, almost two weeks after their rescue. They will be distributed among four countries. 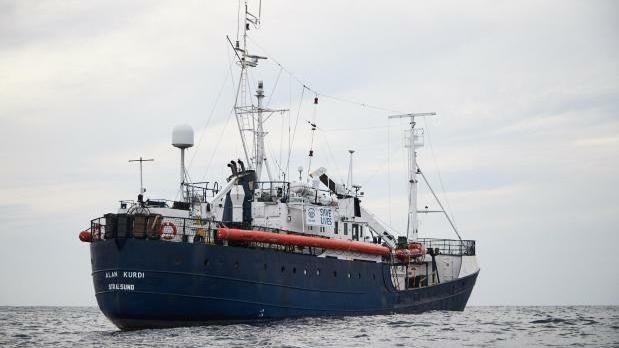 The Sea-Eye organisation, which operates the ship said members of the crew had been denied permission to also come to Malta, in what it described as 'chicanery'. "The joy about the completed rescue of the people with whom the crew of the Alan Kurdi spent so many days was quickly overshadowed by the decision of Malta to deny the crew entry," Sea Eye said. It recalled that in January, Malta refused the Alan Kurdi an exchange of the crew. However, the volunteer crew was allowed to leave the ship. Now it was acting 'even harder'. "Formally one can do nothing against Sea-Eye and our ship. If Malta applies such measures, then one must speak clearly of chicanery," said Gorden Isler, chairman of Sea-Eye. "Most crew members are voluntarily on board. At home, family and professional obligations await parts of the Sea-Eye crew. The concerned mother of a crew member speaks of a violation of her daughter's rights and will turn to the Situation Centre of the Federal Foreign Office. The crew members are angry and severely disappointed. "We cannot force Malta to let our crew members ashore. We condemn the abuse of state power and the illegal restriction of the freedom of our crew members, who at last risked their own health to save lives," Isler continued. The Alan Kurdi is now heading for Spain where it will undergo a refit and the organisation intends to return to the sea as soon as possible. "There is an imminent war in Libya. Soon even Libyans could get on rubber dinghies to get to safety in Europe. A humanitarian disaster and further devastating losses of human lives are to be expected."